On Monday the new Indulge bars were launched. Being a member of Team 9bar I was lucky enough to get a few samples pre launch. I have been asking for a coconut bar for ages and it has finally happened so I couldn't wait to try it - I was not disappointed. What are these new bars like? 4. Finish off with yummy a vegan dark chocolate topping. For those of you who have not tried 9bars they are mixed seed energy bar. The seeds mean you get slow release energy and a good amount of protein. Most varieties are now vegan (some use honey rather than golden syrup so not strictly vegan); wheat and gluten free and some are nut free (see website for more allergy details). These bars are 40g so a little smaller than the usual 50g bars but I think that is a better size for running with as I find a full bar a bit too much. Per 100g the calories are about the same as the original bar and protein is a little less at 14.2g (coconut) per 100g which for a snack bar is still a decent amount. 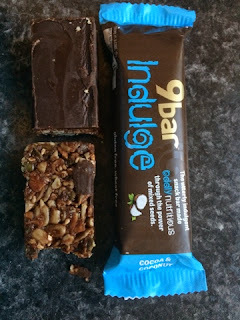 This is really nice, a lovely chocolaty coconut bar but without the guilt feeling of a bounty bar! I don't actually like raspberries that much but I love this bar, it has freeze-dried raspberries which give it that subtle hint of raspberry which works well with the cocoa. These are about equal, they taste fairly similar to the nutty 9bar but with the added cocoa so that makes theses even nicer. My husband, who doesn't like 9bars as he doesn't like seeds much didn't like these two, said they were just like the original bars. However, he loved the other two as the flavours hid the seeds enough for him. 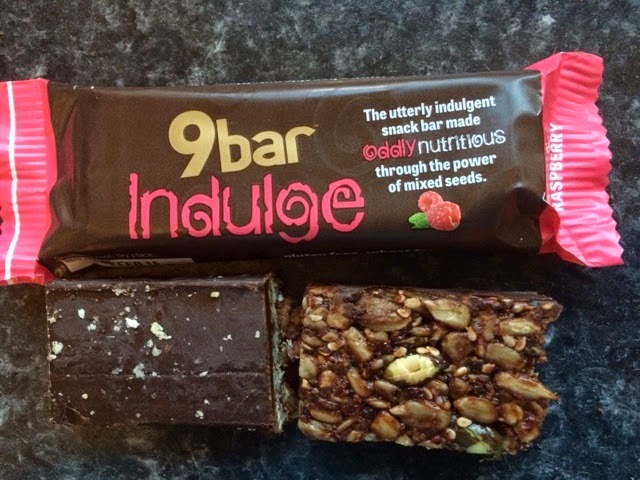 Out of the full 9bar range the Cocoa and Coconut has to be my favourite with the Almond and Raspberry breakfast bar being a close second. 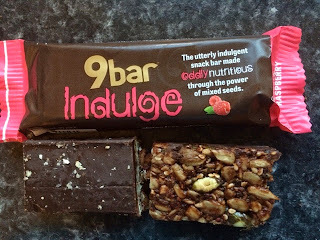 I use 9bars a lot during ultra marathons so it will be nice to have a few more distinct flavours especially for 24 hour races when it is easy to become bored after a few bars. Unfortunately oats disagree with me when running so I cant use the breakfast bars during runs but I will be taking some of the new bars to my 24 hour race this weekend. 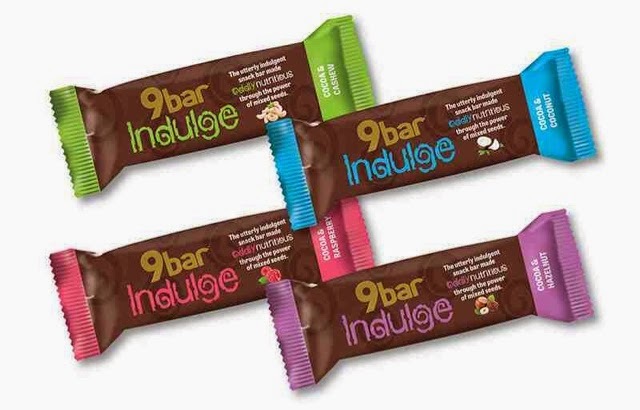 The easiest place is the 9bar website (http://www.9bar.com/shop/category/indulge) where you can buy a mixed box to try all the flavours. Some tescos stores have the Cocoa and raspberry/cocoa and hazelnut.